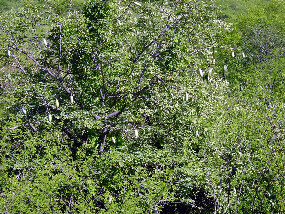 A common and widespread tree in tropical deciduous forest, extending into adjacent oak woodland and thornscrub. Easy to recognize by its very prickly main stems. 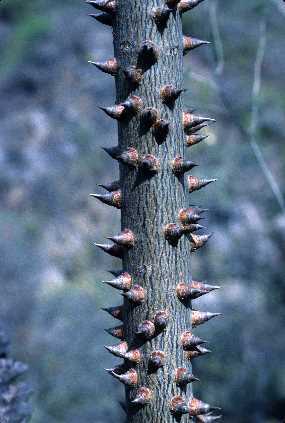 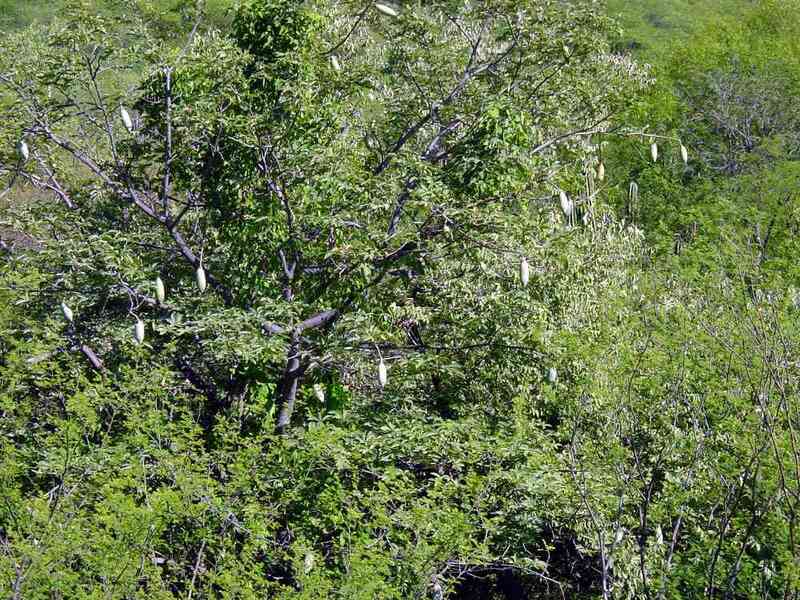 The degree of prickliness is highly variable and some trees may nearly lack them. 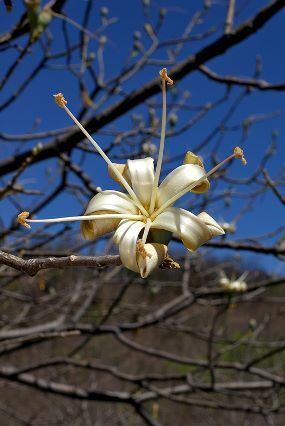 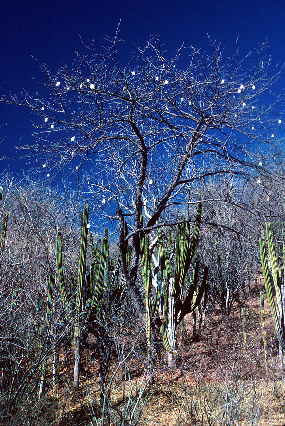 The nocturnal flowers open in May and June and are pollinated by bats. 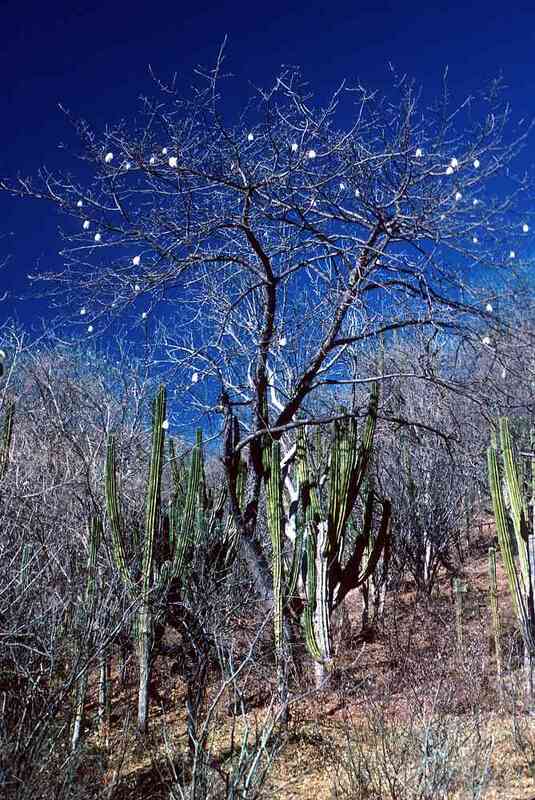 Large oval fruits hang on the trees until winter, when they split open with an audible pop. 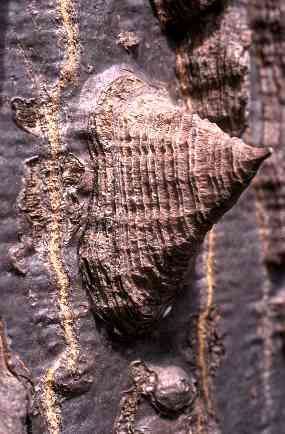 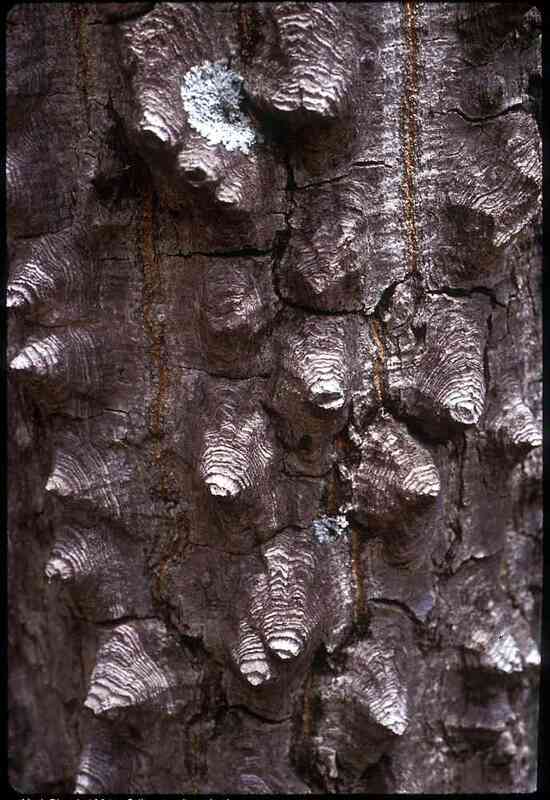 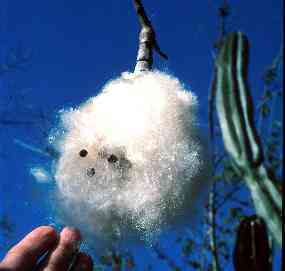 The seeds are embedded in a large mass of cottony kapok fibers.